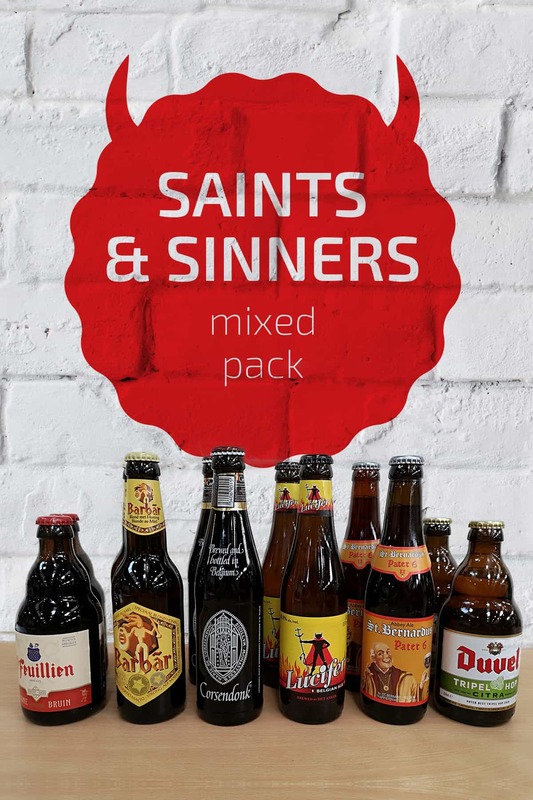 We’ve put together this mixed pack of both “good” and “evil” Belgian beers, which is ideal for Halloween! Beer Description: Unique for its honey based flavour, it has a barbarian logo on its label. During the fermentation process, honey is added to the malted wheat and hops, giving it a sweeter and richer taste. Beer Description: The Priory of Corsendonk dates back to 1398. The brewery was re-opened in 1906 and this beer was originally called Pater Noster. It has a deep dark reddish brown colour due to being brewed with oasted malt. It is a lively, bubbly beer with a rich head. 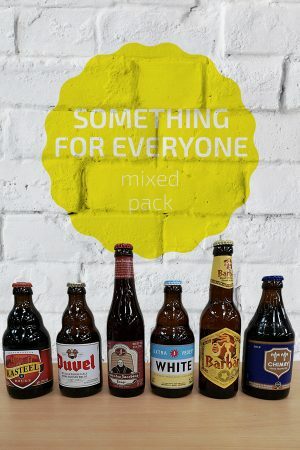 Beer Description: Duvel is normally brewed with two hop varieties, however this version uses three and each year, the third hop changes to provide its own unique taste and aroma. For 2017, the brewers have used Citra. 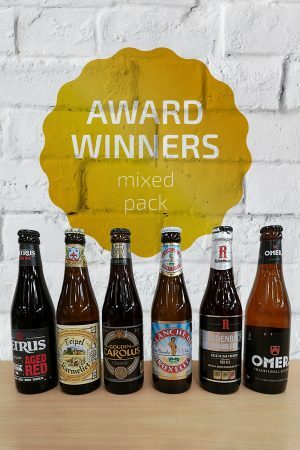 It was awarded a Three Star beer award at The Beer Awards 2017/18 for the category of “Blonde Ale”. Beer Description: A strong, pale ale made from malt, hops, yeast and sugar. It might have a demonic title but it isn’t evil to drink! Beer Description: A chestnut coloured dark Belgian Abbey beer with a high fermentation. It’s from one of the original recipes from the days of licence-brewing for the Trappist monks of Westvleteren. 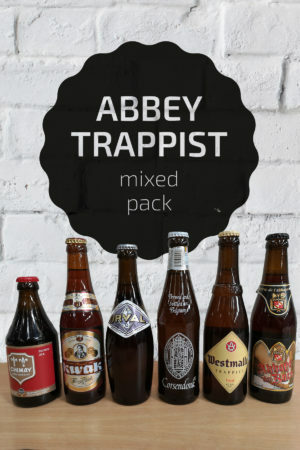 Beer Description: A traditional Abbey beer, best drunk at 8-10 degrees Celsius. 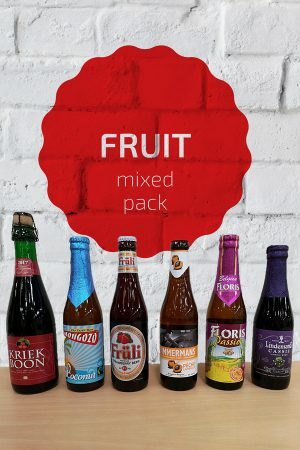 Purchase this product now and earn 910 Beer Points!